The third and final installment of the “X-Men Origins: Wolverine” trilogy headlined “Logan” is almost here and the first trailer for the movie was released last week. The movie’s eponymous character Logan aka Wolverine returns as Hugh Jackman dons his claws one last time as Wolverine, a role he has reprised for the last 16 years. Logan will follow in the footsteps of fellow X-Men franchise spin-off “Deadpool” by targeting a mature audience with its R-Rating which sets a darker and grittier tone than its earlier installment. James Mangold returns as director and confirms that the plot of the movie is loosely based on the “Old Man Logan” series by Mark Millar and Steve McNiven which ran from June 2008 to September 2009. The trailer opens up Johnny Cash’s popular song “Hurt” playing and we are introduced to a grim near-future where mutants are virtually non-existent, the reason for this is unknown and speculations are they probably all died from natural causes or they were hunted down by some mysterious secret government organization. The trailer starts with the never before seen image of a worn-out and aged Wolverine with scars all over his body compared to the never aging, invincible and immortal Wolverine we’ve come to know and love. Following the release of the trailer, the reason for Logan’s aged appearance and scars was explained by director James Mangold who confirmed that Logan’s body still has its healing factor but with his advancing age his skin no longer produces baby-soft skin hence the extensive scars and lacerations on his back. 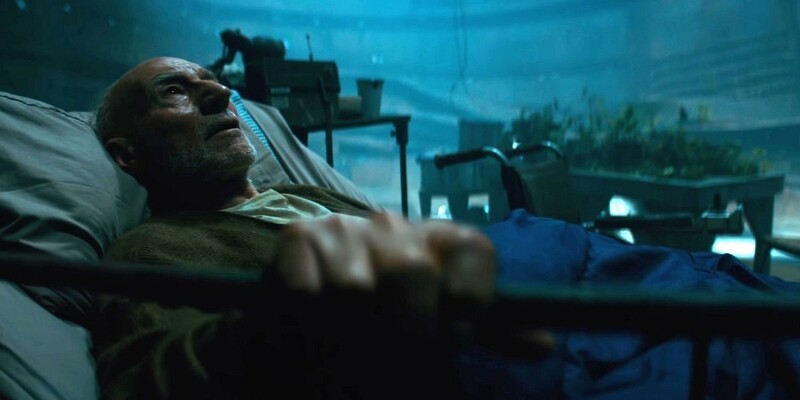 Patrick Stewart reprises his role as Professor Charles Xavier looking older and fragile in the trailer and swapping his awesome wheelchair for a gloomy hospital bed, Professor X starts out asking Logan “What did you do?” In the comic book Wolverine is the one responsible for the death of his fellow X-Men and if the film goes along this path, it explains the question being posed at Logan. Next Professor X is heard urging Logan to come out of hiding and join forces with him to protect a mysterious young girl played by Dafne Keen who is described by Professor X himself as being very much like Logan. Moving on, the trailer introduces us to the villains called “The Reavers”, which consists of a group of criminal cyborgs whose common interest in the comic book is a united hatred for all mutants especially the X-Men. The team is led by Donald Pierce played by Boyd Holbrook, a mutant-hating cyborg hell-bent on hunting down all mutant life. 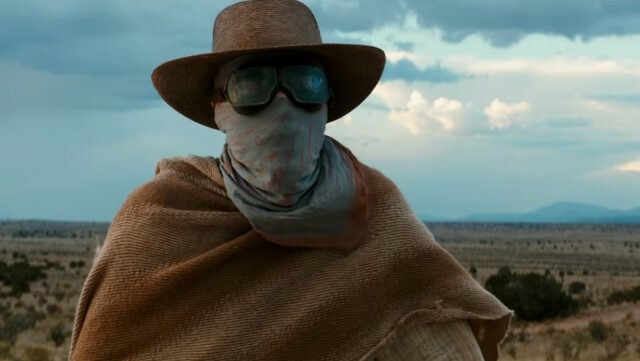 Another character introduced is Stephen Merchant’s Caliban whose abilities include sensing and tracking other mutants, from the trailer released so far Caliban’s alliance to all parties in Logan is still relatively unknown for now. Dafne Keen’s character has been revealed as Laura Kinney better known as X-23, a clone made from Logan’s DNA samples which we could safely assume was acquired by Essex Corp. at the end of X-Men: Apocalypse. X-23 is a popular mutant in the X-Men universe and has taken up the mantle of Wolverine over the years and fully after his death in the comics. The trailer follows Logan, Professor X and Laura on a road trip against a Texas setting while they are being hunted by armed guards. 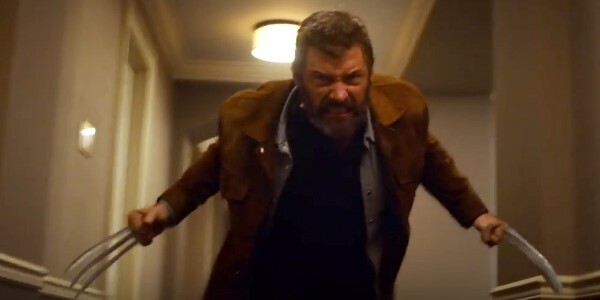 A brief shot of Logan is shown pinned down by a claw-wielding mutant whose identity is hidden in the trailer, odds are probably in Laura’s favour as she is probably not very welcoming of Logan’s help initially. Hugh Jackman confirmed months ago that Logan would be his final appearance as Wolverine, the future of the character is still currently undecided with Marvel either killing off his character and Laura aka X-23 stepping in to take up the mantle of Wolverine or just recast Wolverine with another actor. Logan is an epilogue of the X-Men franchise which started in the year 2000, it is the end of an era for the X-Men and if the franchise is rebooted with new characters or Marvel decides to move in a whole different direction with a new spin-off story and new set of mutants, a definite fact is Logan will indeed be a perfect way to end the X-Men series as its greatest character lowers the curtain on the franchise for now. Logan will hit theatres March 3, 2017.